Andrew Brunson is under house arrest: Now how do we pray? Many of us have been praying for Andrew Brunson in Turkey. We all celebrated when we received the news that Andrew after nearly two years in prison has been released to house arrest. This is wonderful!! We then received the clear guidance that the Holy Spirit was calling us to continue our prayer efforts for Andrew’s complete release and to engage in strategic spiritual warfare to weaken and defeat the demonic strongholds in Turkey that are blocking the advancement of the Gospel in Turkey. We have received a lot of affirmation and further guidance. We have received two streams of guidance in terms of the Father’s plans for advancing the Gospel into Turkey. The First stream we reported on in Discerning the Times has to do with the vision of a fortress Martin Boardman received in prayer. After careful discernment, we believe the Lord is leading us to continue to pray for the opening of the turret window behind which Andrew was imprisoned. 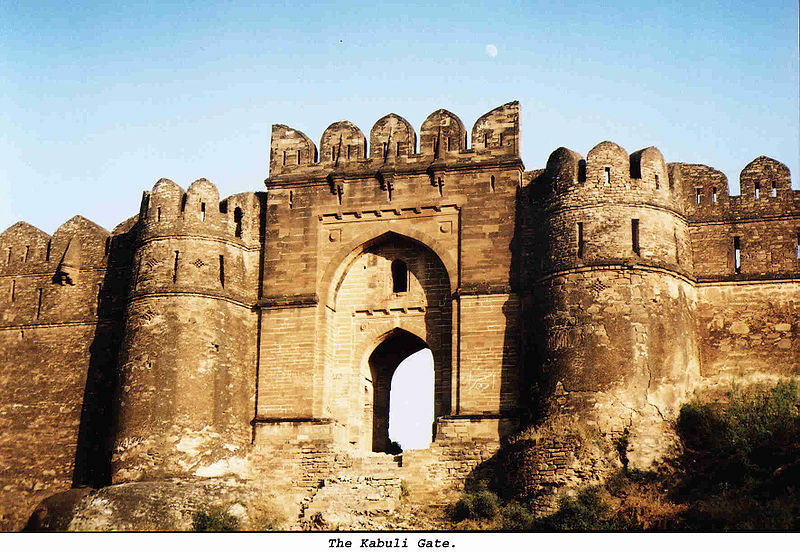 Further, we are to focus our prayers directly on the main gate to the fortress so that it would be forced open. So that people would not be prevented from going in. The Gospel would be able to move freely into Turkey without hindrance. The second area of focus is using the 7 churches of Asia in the book of Revelation to pray through the situation in Turkey. They show us ways we can intercede for the world, particularly in relation to the advancement of the gospel in Turkey. The second stream of guidance comes from Rev. Bill Campbell, an EPC Pastor in Hendersonville, NC and a long-time friend of mine and of PRMI. Bill is an anointed Bible teacher. In addition to his pastoral duties, Bill leads a ministry of Bible teaching called Scripture Awakening. The Holy Spirit has moved wonderfully in his congregation. Bill was in Turkey in July and present in the courtroom for Andrew’s trial. To his itinerary, he added a tour of the seven churches of Asia (Revelation 2-3). While there, he received guidance from the Holy Spirit which he shared with me by email. The number seven, used over fifty times in Revelation, refers to fullness, completeness, and eternity. That is, the seven churches were not only actual congregations, but they represent the church worldwide and through history. Each of the letters in Revelation 2-3 provides spiritual insight, not only for Turkey, but for the expansion of God’s kingdom worldwide. There are specific biblical instructions given to each church that not only describe situations in specific localities, but also, that link to national and international principalities. Understanding these simple truths can guide intercession around ministry in Turkey, revival in America, and kingdom advance worldwide. The moment I heard this, I felt the Lord saying that He was pouring out the Holy Spirit upon the global church and was calling intercessors to join what I am tentatively naming the Seven Churches of Asia Prayer Initiative. Mobilizing, Equipping and Deploying Prayer Cohorts for high-level intercessory prayer and spiritual warfare to defeat strongholds and advance the Kingdom of God into Turkey and for the revival of the Church of Jesus Christ worldwide. Equipping intercessors for the Seven Churches Prayer Endeavor – modelled on the PRMI Jerusalem Prayer Endeavor. This endeavor would include taking a tour of the Seven Churches of Asia. This would take place at the right time according to the guidance of the Holy Spirit. This Tour and the equipping for it would be co-sponsored by PRMI and SA. The Mountain Top Equipping Camp at the COC, November 5-9, 2018 for mastering the Tactics and Strategies of high-level intercession and spiritual warfare. This Mountain Top Equipping Camp will provide the means of equipping and forming prayer cohorts. In addition, teams will be trained to take part in strategic Prayer Endeavors, to the Seven Churches in Turkey, and to strategic locations in Israel, and other locations. Sharing the Need for the Lord to send the financial provision for this Seven Churches Prayer initiative. The organization for this prayer initiative cost money! So please ask the Lord to send all the financial provision that is needed for its support. We will let you know what that is once we received the confirmation about the initiative. The Lord has shown us that the next steps involve building upon the global prayer movement ignited by Andrew Brunson’s imprisonment for his witness to Jesus Christ. Andrew Brunson, his family and those who have carried this burden have suffered deeply for the Gospel. I believe this prayer initiative will ensure that this suffering has not been in vain and will accomplish the Gospel purposes for which God allowed it. Pray for strong protection for Andrew and his family as they remain in Turkey. Pray for Andrew’s full release and ability to return home to the United States. Pray that the Lord will strengthen the believers in Turkey and especially those in the church which Andrew pastored. Pray for wisdom for PRMI as we move forward with this prayer initiative. Ask the Lord if he is calling you to be a part of the next Mountain Top Equipping camp in November. Pray that the gates of the fortress would be broken down so that the gospel could move freely through Turkey. Give thanks for the witness of believers in Turkey already and pray for a hunger and thirst for the truth of the gospel to spread within the land. Thanks so much. Please share with us discernment you may receive. And please let us know if Jesus is calling you to take part in this. Brad, in our cohort group meeting last week, one of our members said he had received a word that our group should be praying through the seven churches in Revelation. Your message this week is confirmation that our Father is asking us to pray this not just for Pastor Brunson, but also for a turning back to God in this mighty nation.